One of the “warmer” mantras has been “deforestation.” You name the forest and we’re cutting down trees by the bazillions according to them, which is bad because trees eat CO2 for breakfast, lunch, and dinner (unless you’re the EPA, then CO2 is bad for some strange reason). We get articles like “Forest Holocaust” from National Geographic, designed to scare the crap out of everyone and make us all switch to a Toyota Prius. The statistics paint a grim picture. According to the World Resources Institute, more than 80 percent of the Earth’s natural forests already have been destroyed. Deforestation may have catastrophic global effects as well. Trees are natural consumers of carbon dioxide—one of the greenhouse gases whose buildup in the atmosphere contributes to global warming. Destruction of trees not only removes these “carbon sinks,” but tree burning and decomposition pump into the atmosphere even more carbon dioxide, along with methane, another major greenhouse gas. Here’s some more in an article titled “Deforestation” from Greenpeace. Drama queens. Deforestation and forest degradation are both a cause and a result of climate change. Plants absorb carbon dioxide and use it to grow, but when they decay or burn, carbon dioxide is released again. Decaying plants also produce methane, a greenhouse gas more potent than carbon dioxide. Anyway, I think you get the point without me quoting from 6,550,000 results about deforestation online (per Google). It seems deforestation is getting to be so much BS, too. Per this article in Times Online, perhaps things aren’t as bad as everyone is screming at a high pitch about. The destruction of ancient forests has fallen to its lowest level for 20 years as countries finally begin to deliver on their commitment to protect animal and plant species, according to a UN report. Whoa! A UN report that isn’t all doom and gloom? Oh, ummm, well read on, we can forget about that, they always have to throw in some “extras” to ensure continued funding, fright and cap-and-trade. The variety of life on Earth is still declining rapidly and several regions are close to “tipping points” from which they may not recover, but there are promising signs that most governments have accepted the need to preserve natural resources. See? We can’t leave out those key words “declining”, “tipping points”, “may not recover”, etc. They must have consulted the Goracle for key words. They forgot “unprecedented” but I guess I’ll cut them some slack. Then they go back to being positive. Perhaps they’re bi-polar? But it reveals a strongly positive trend towards better protection of the planet’s most unique and sensitive areas of land and sea. Strongly positive? Perhaps the writer was drunk? Still, we get more “positive” per this. More than 12 per cent of land is now protected by national conservation laws, with 120,000 national parks, reserves and other protected areas. The total protected area has quadrupled since 1970 to 21 million square kilometres, including 4 million square kilometres of ocean. Satellite data shows that the annual deforestation of the Brazilian Amazon has slowed from a peak of more than 27,000 square kilometres in 2004 to just over 7,000 square kilometres in 2009. Even the deforestation of the Amazon is slowing. How are they going to raise money with stuff like this? Even Canada and Madagascar are getting in on the act. Canada has protected an additional 210,000 square kilometres of forest since 2002 and the protected area in Madagascar has almost trebled to 47,000 square kilometres since 2003. Lest you think this is all a fantasy or Pachauri had too much Vodka. The report drew on about 500 peer-reviewed scientific papers and 110 national reports on biodiversity submitted by governments. See? When science is applied properly, with real peer-review, the truth comes out. I’m glad to see that at least someone at the UN isn’t “adjusting” figures, “deleting” weather stations that don’t show warming, “placing” weather stations next to air conditioning exhausts, “creating” hockey-sticks out of thin air, etc. We can do with some real science. At least someone at the UN can tell the truth. Whoever is responsible for this please keep it up. Please leave out the histrionics though, we can think for ourselves. Perhaps the CO2 Insanity is easing up. It’s about time. 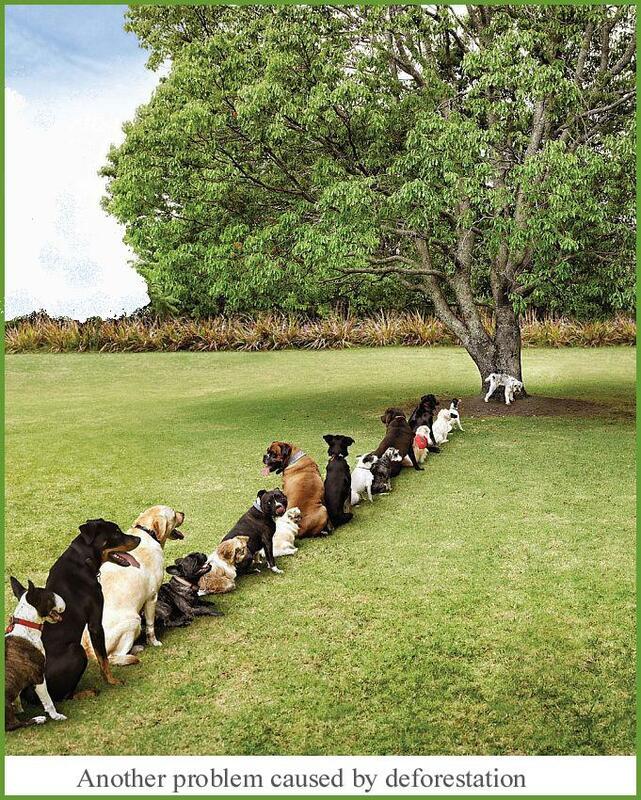 Comments Off on Deforestation? Not!